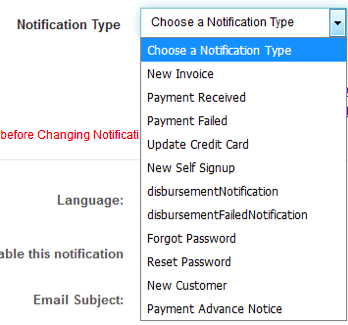 Notifications are sent to your customers when business events occur (such as a new Invoice or Payment). Customize the messages for each 'Notification Type' by first selecting from the list below. 4. When you choose a notification from the dropdown, the Email Subject will get updated automatically. 6. Please note that none of the values within the variables can be changed. 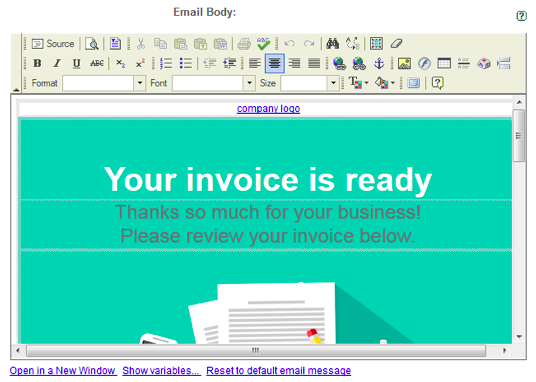 For eg in the above fig the Email Subject says “New Invoice Available - #organization.orgName#” where #organization.orgName# cannot be changed. 9. 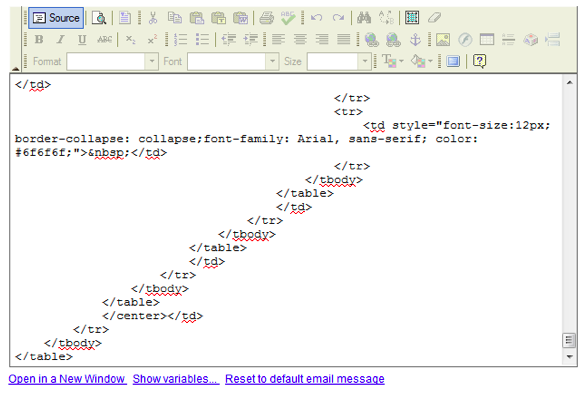 The email message will contain many variables and only the variables in the variable list can be used. 11. 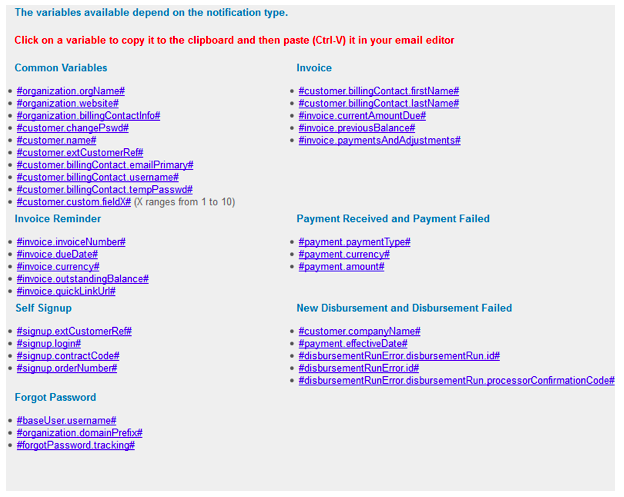 If you notice, only the variables used in the notifications are described in the variables list above.